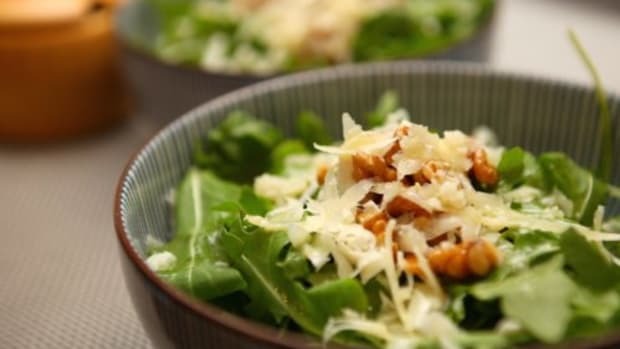 The arrival of spring is good news for foodies who love salads, as farmers markets and natural food stores will be stocking up on fresh greens from local growers. This meyer lemon and herbed goat cheese salad recipe offers a simple and seasonal side dish or light main course. A fresh and fruity dressing adds a tasty and colorful touch to a bed of mixed greens. Herbed goat cheese blends in smoothly, while slices of meyer lemon add a zingy bite that will wake your taste buds up to the flavors of the new season! 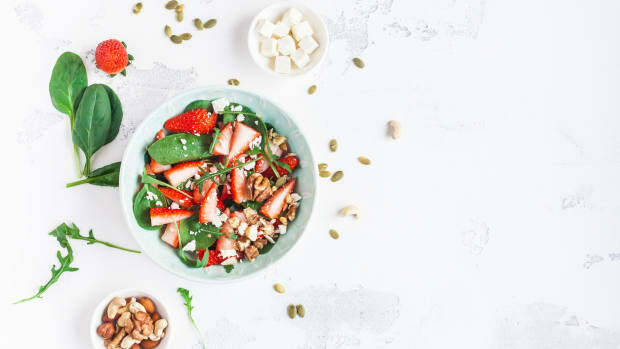 The vinaigrette paired with this salad uses rhubarb and strawberries as the main ingredients. 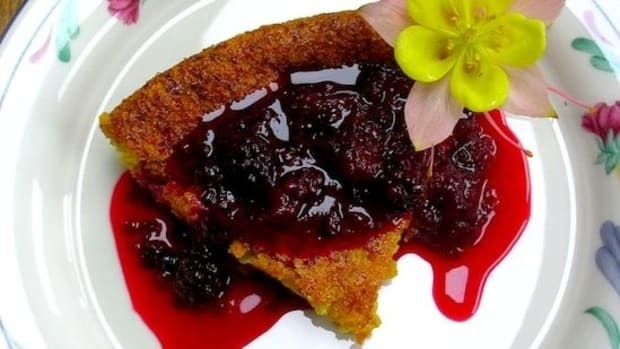 Rhubarb is available fresh at many markets this time of year, but strawberries aren’t yet in season. 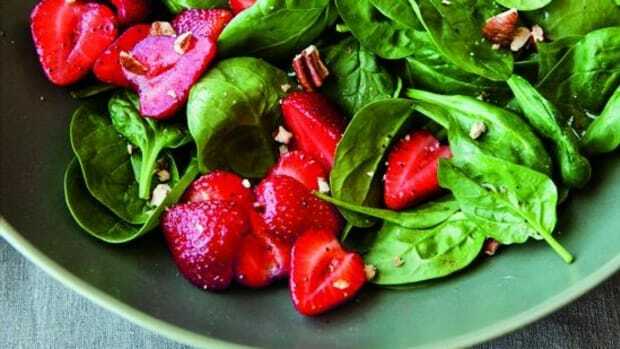 Use frozen, organic strawberries and thaw them completely before making the vinaigrette. 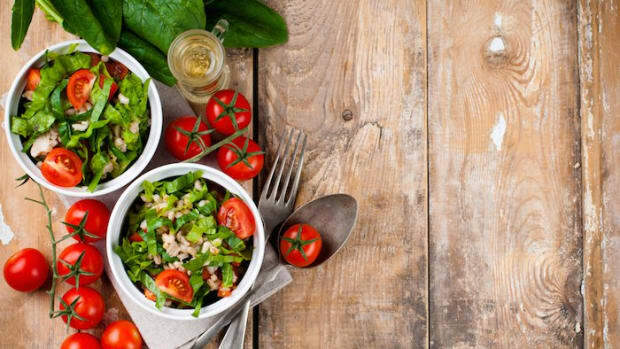 Toss greens in a salad bowl and divide equally onto four plates. 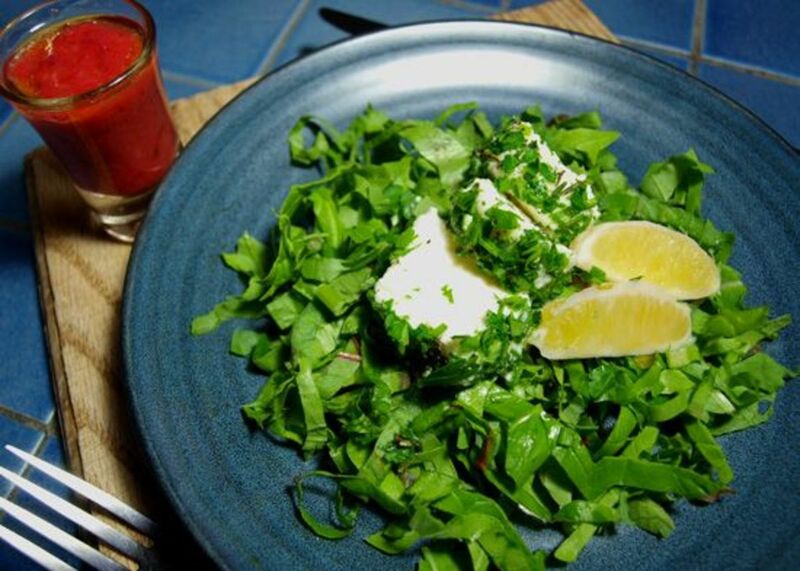 Place 2 lemon sections and slices of herbed goat cheese on top of each salad. To make the vinaigrette place rhubarb, strawberries and spring onions in a food processor and blend until smooth. Pour mixture into a bottle or jar through a funnel, add the remaining ingredients, place a cap on the bottle and give it a good shake. 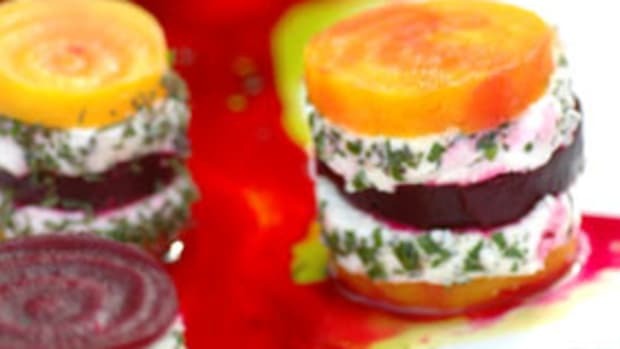 Serve the vinaigrette on the side or in single serving shot glasses. 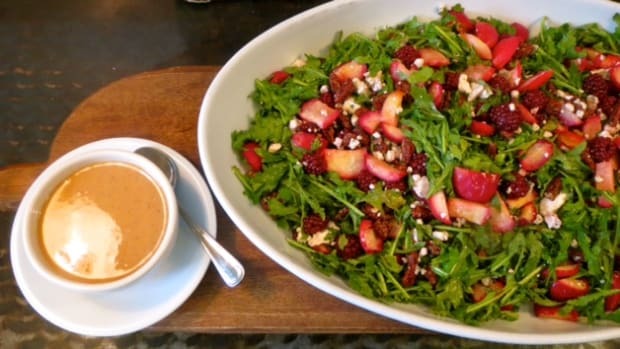 This salad is great paired with homemade sourdough bread and a delicious springtime soup.